AMSTERDAM – GLORY welterweight world champion Cédric “The Best” Doumbé (66-4-1, 39 KO, fighting out of France) defends his title on home soil, headlining with rival Nieky “The Natural” Holzken (90-12, 46 KO, fighting out of the Netherlands) as AccorHotels Arena hosts GLORY 42 Paris and GLORY 42 SuperFight Series on Saturday, June 10. Doumbé, just 24 years old, captured GLORY gold in remarkable fashion, ending Holzken’s four-year unbeaten streak at GLORY: COLLISION in December. That effort was followed by a near-flawless victory over No. 1 contender Yoann Kongolo at GLORY 39 Brussels last month, bringing his winning streak to 11 fights in a row. Holzken, now ranked No. 2 in the division, has not competed since his first meeting with Doumbé. In the rematch, he looks to return to the winning ways that established him as one of the most dominant champions in kickboxing history. 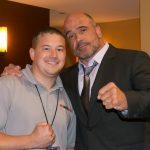 GLORY 42 Paris is also expected to feature a one-night, four-man lightweight contender tournament, with the eventual winner earning an opportunity to face lightweight world champion Sitthichai at a later date. Before the welterweight title tilt topping GLORY 42 Paris, a pair of exciting 170-pound bouts color the action of GLORY 42 SuperFight Series. Representing Switzerland, recent championship challenger Yoann Kongolo (64-9, 46 KO, fighting out of the Netherlands) will rely on his veteran savvy against 26-year-old prodigy Antoine Pinto (132-36-1, 77 KO, fighting out of Thailand) in the headline bout of GLORY 42 SuperFight Series. Kongolo, still the No. 1 ranked welterweight contender, was most recently in action against divisional champion Doumbé at GLORY 39 Brussels. Pinto, a native of France before moving to Thailand for training, made his promotional debut at GLORY 38 Chicago in February, winning a back-and-forth battle against Richard Abraham. Hometown favorite Jimmy Vienot (56-12, 27 KO, fighting out of France) gets the evening started in his first opportunity for GLORY, taking on tough-as-nails Casey “Go” Greene (5-7, 2 KO, fighting out of the United States). At just 21 years old, Vienot has quickly risen through the ranks, capturing WBC and WPMF world titles as a professional. 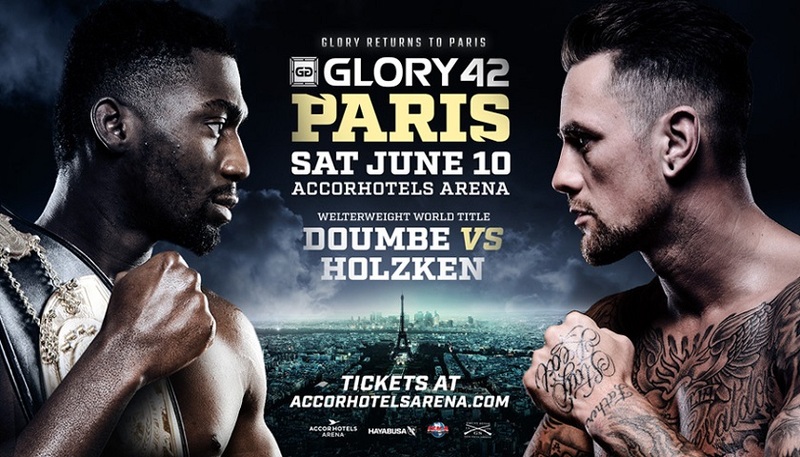 French natives Dylan Salvador, Nicolas Wamba, and Zinedine Hameur-Lain are expected to compete during GLORY 42 Paris and GLORY 42 SuperFight Series, and match-ups for each, as well as several other exceptional fights from the world’s premier kickboxing league, will be announced shortly. Tickets for GLORY 42 Paris and GLORY 42 SuperFight Series are on sale now, priced at €155, €100, €80, €60, €45, and €25. Tickets are available online at accorhotelsarena.com and in-person at the AccorHotels Arena box office.